A STUDY IN SNOW CONTRASTS? This afternoon we can report two vastly different snow activities. 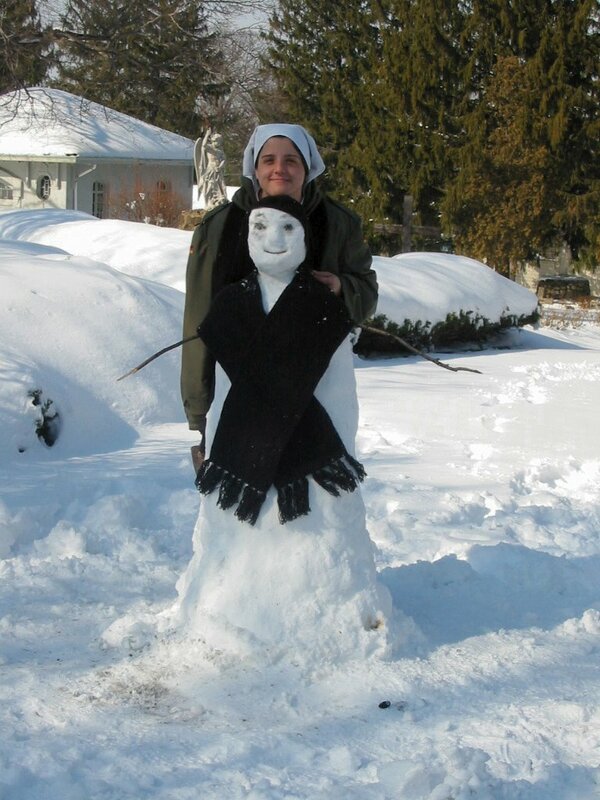 Sr. Greta, impatient for a novitiate companion, decided to take matters into her own hands and create one! Yes, Sr. Frostina seems a little stiff and some say her personality is rather, um, cold, and that she has a bit of a frosty stare, but she has a lovely smile (even though she has no teeth!). Also, she refuses to go inside (says it's much too hot and stuffy, and that it makes her all melty). So, she does have some issues, and, yes, we do have some questions about her suitability to our life! 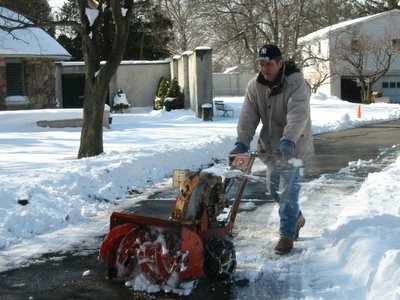 In the meantime, our workman, Gary Williams, was busy with the snowblower, helping to clear the driveway. We just hope that he steers clear of Sr. Frostina! Hard at work with the snowblower! THE RETURN OF A DOMINICAN CLASSIC!